It’s New Years seas0n, and because I work out in a commercial gym, I see a flock of new people. Of course, 99% of them drop off, but a few will stick it out and develop the obsession that we all have. Now, New Years season or not, one of the most common questions in the world of fitness is what type of workouts should a beginner do. In this day and age, there’s so much going on in the world of fitness, with a million different programs that are only serving to confuse the new guys and lead them down the path of worthless results. I’ve decided to split up my training logs, which will continue 6 days a week, and the other things I talk about as opposed to keeping them combined. This one is simple, building traps. Ever since I started working out, building traps has been one of my major focuses. Big, thick traps make you look like a beast, and your boy wants to be a beast. 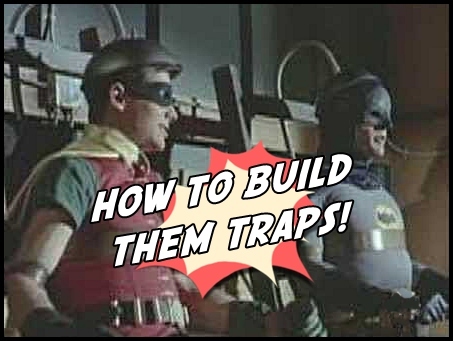 So, I’ve done quite a bit of reading, and found far more about building traps than shrugs. If you head over to my instagram, @CaliberWinfield, you can see quite a few pictures of my traps, and how they’ve become a pretty decent bodypart. Tomorrow I’ll post a photo that’s a few years old to show how far I’ve come with them. With that said, let’s get it. Oh, and when you do shrugs, DO NOT ROLL YOUR FREAKING SHOULDERS. Thank you.